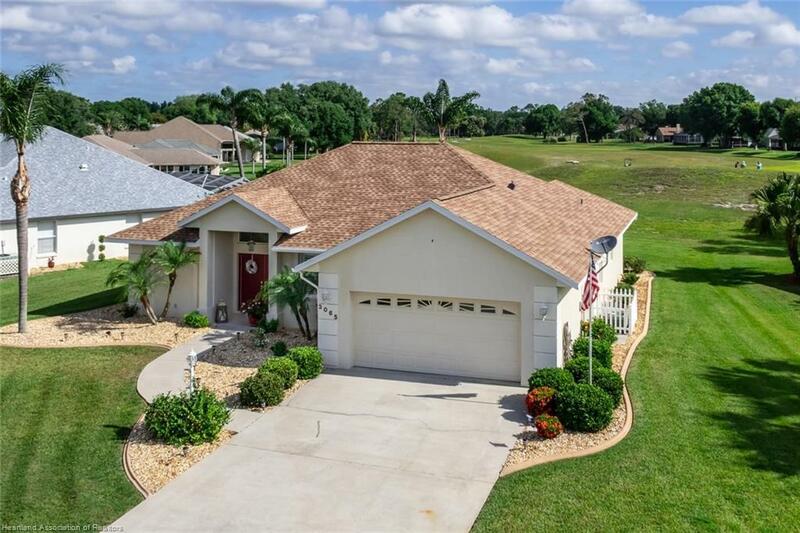 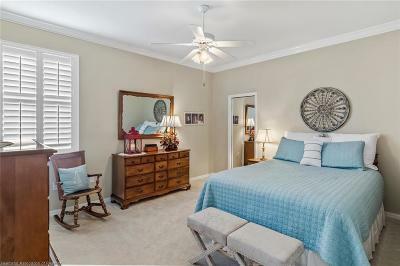 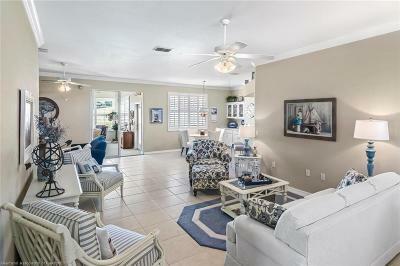 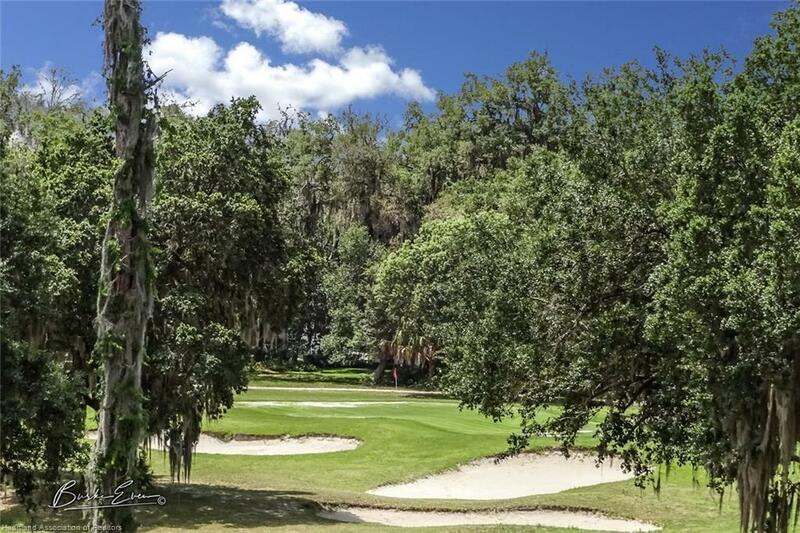 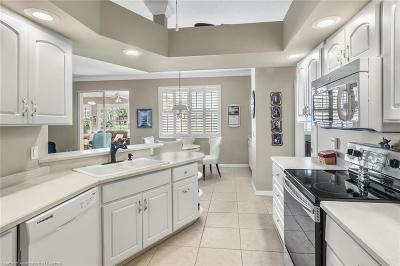 This golf course home shows like a Model and is perfect for entertaining. 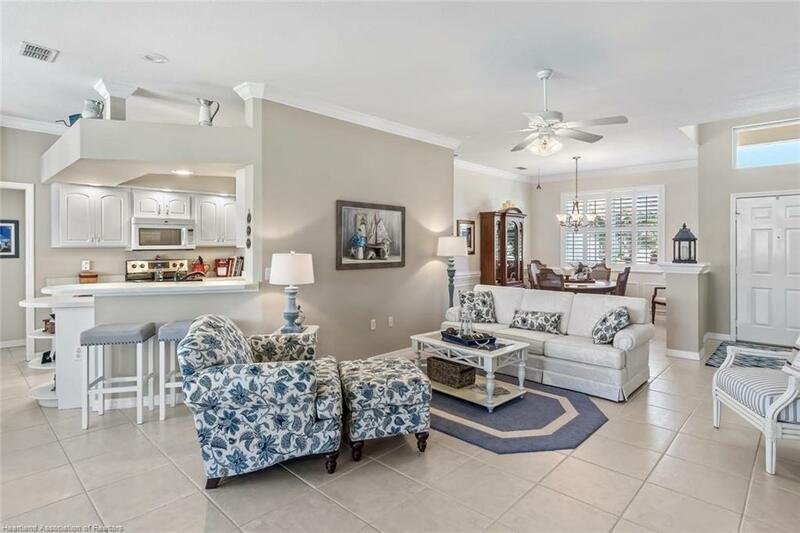 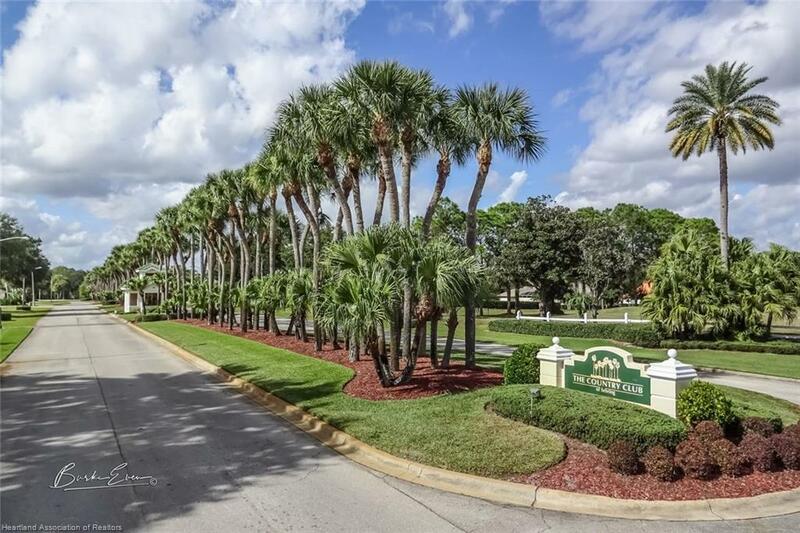 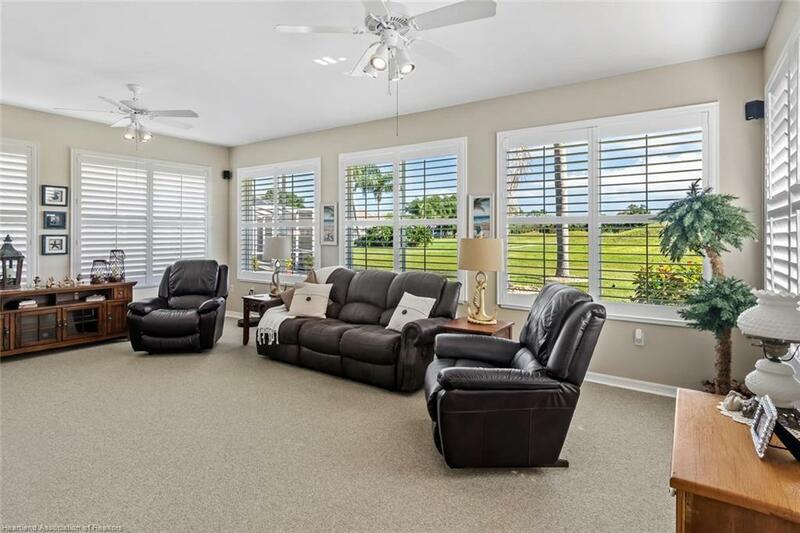 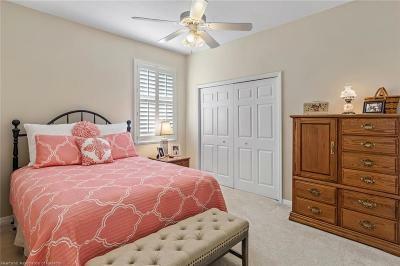 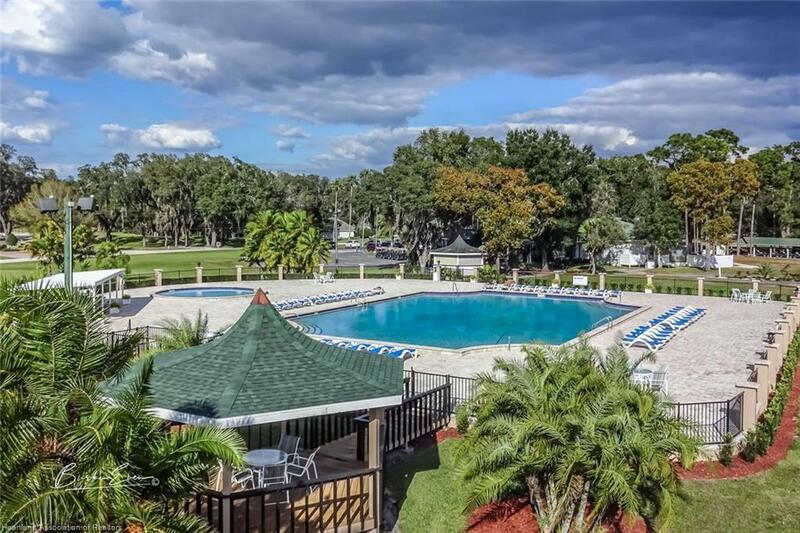 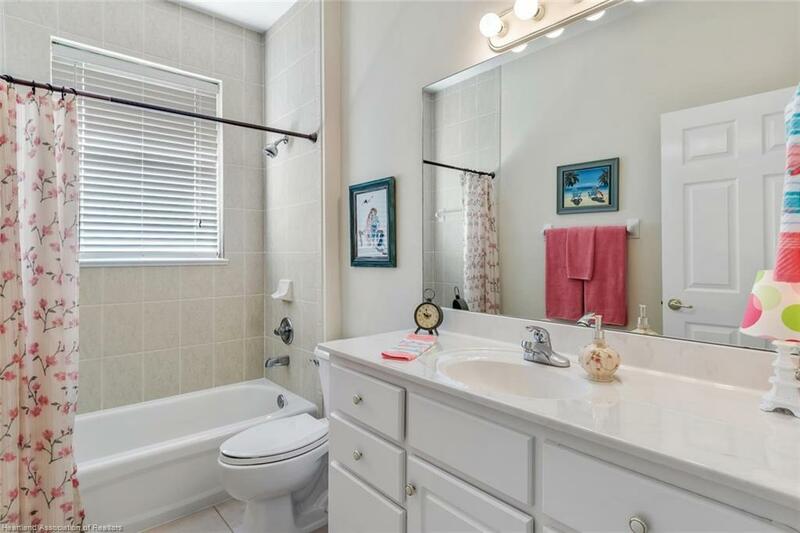 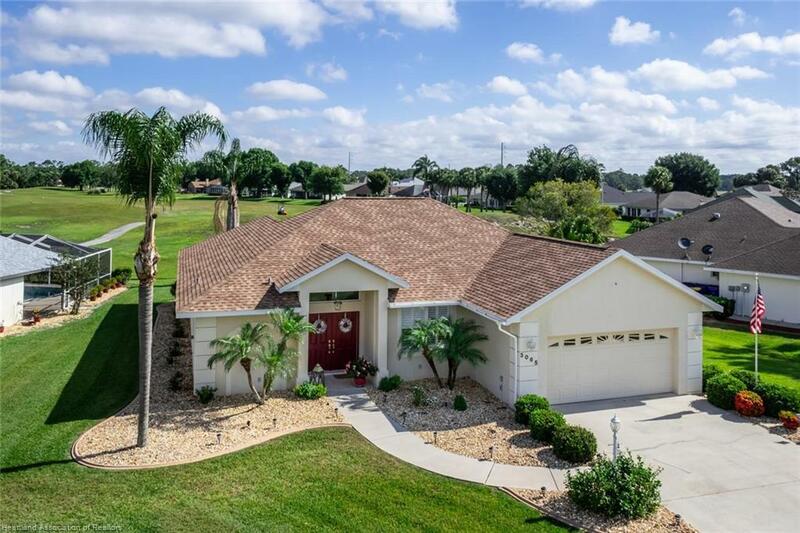 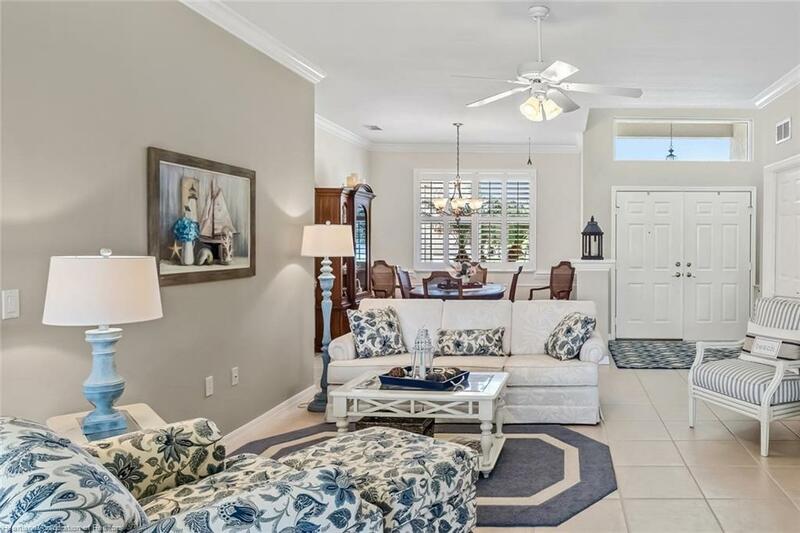 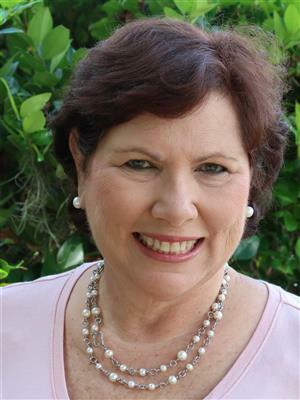 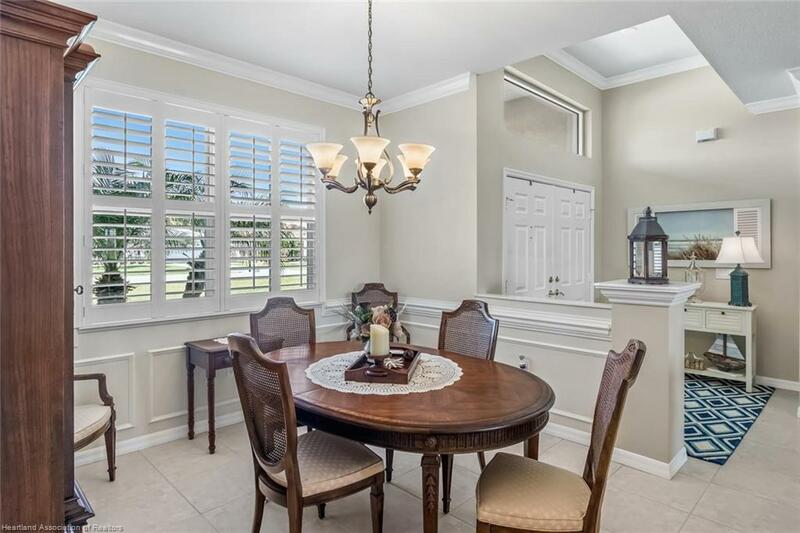 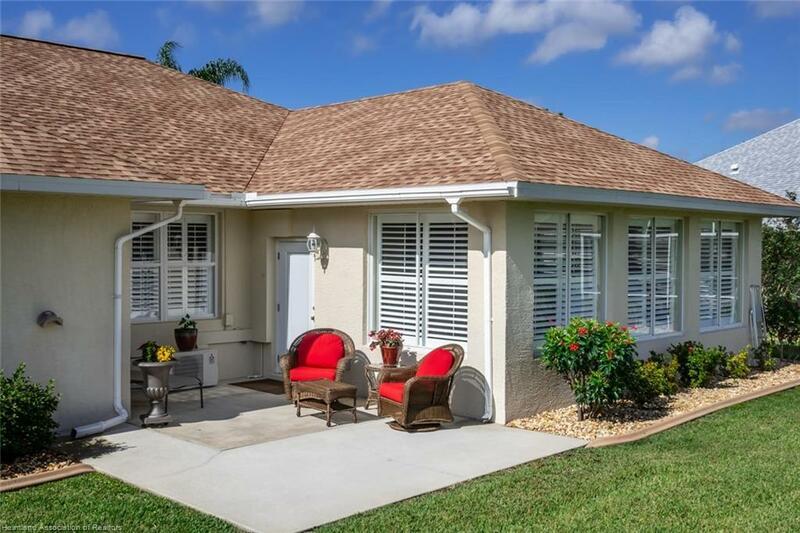 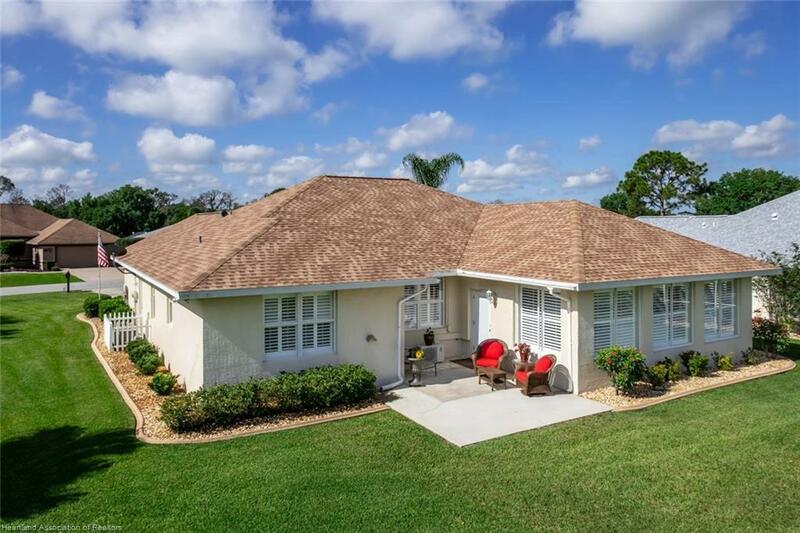 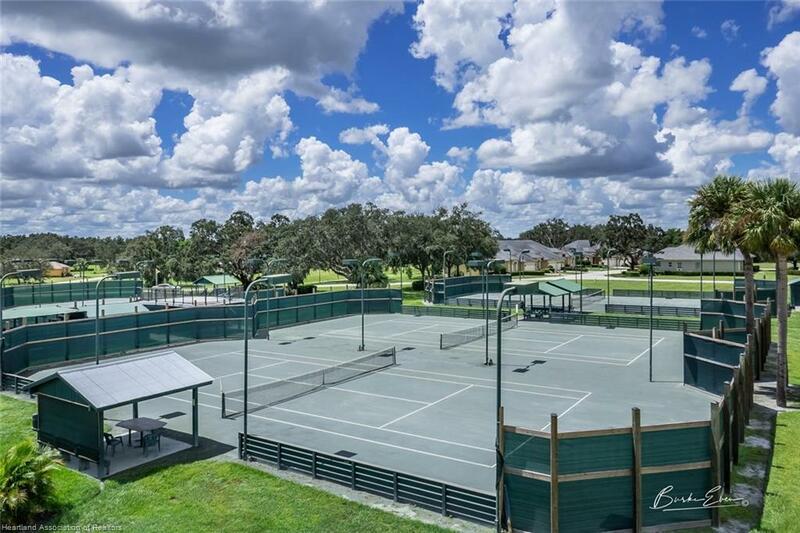 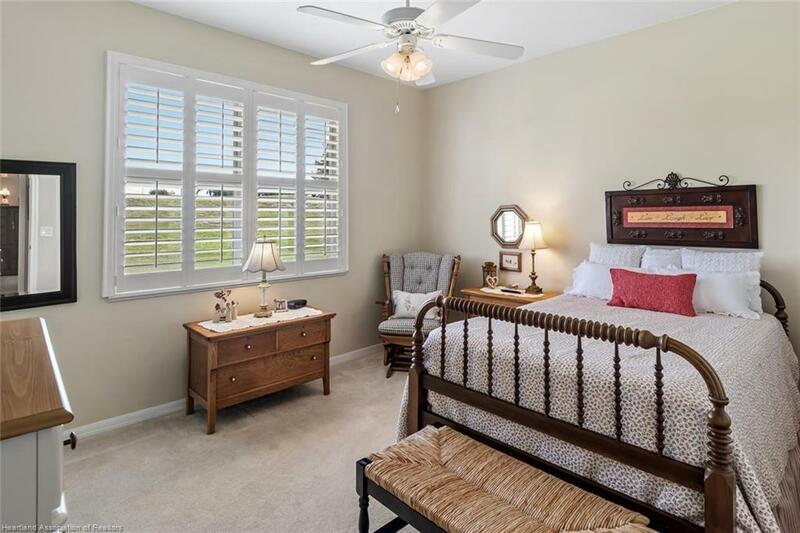 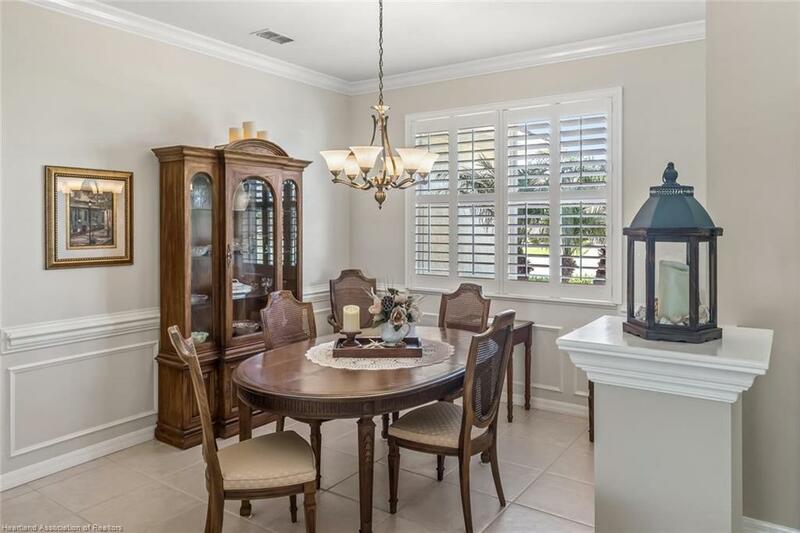 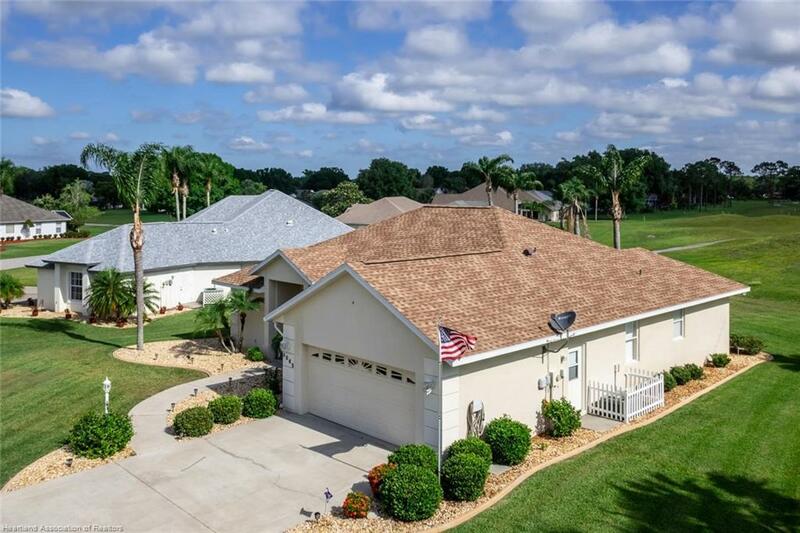 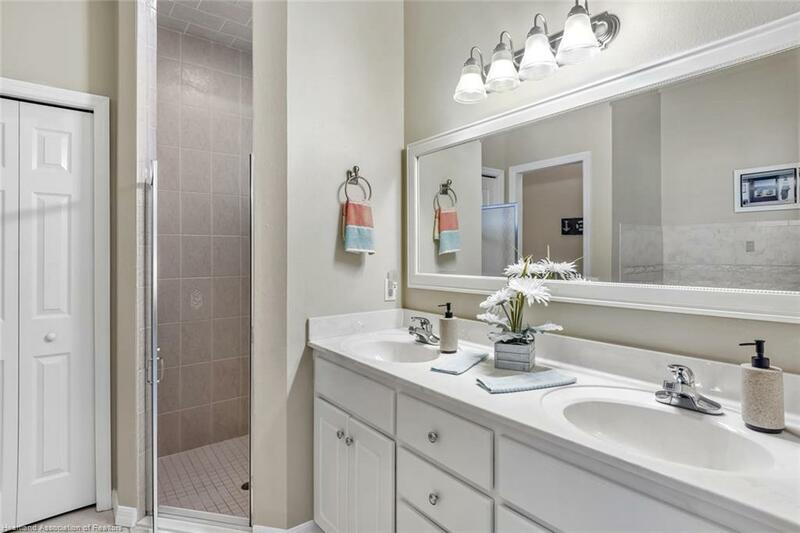 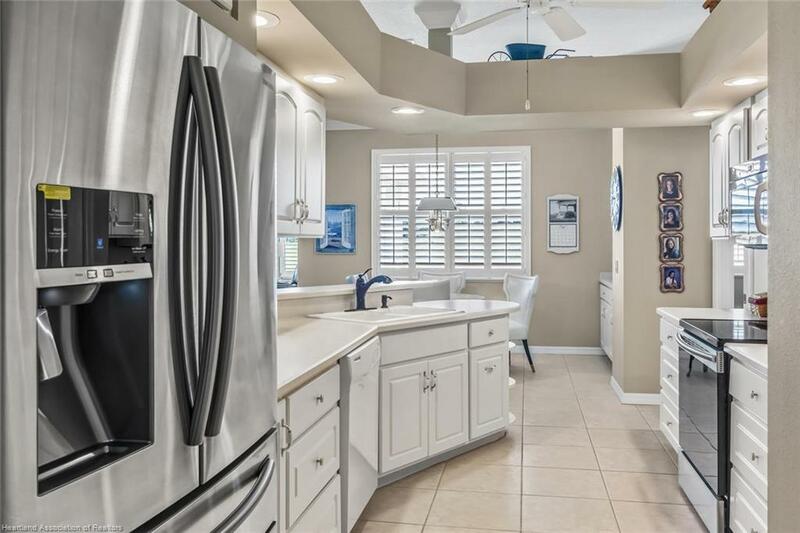 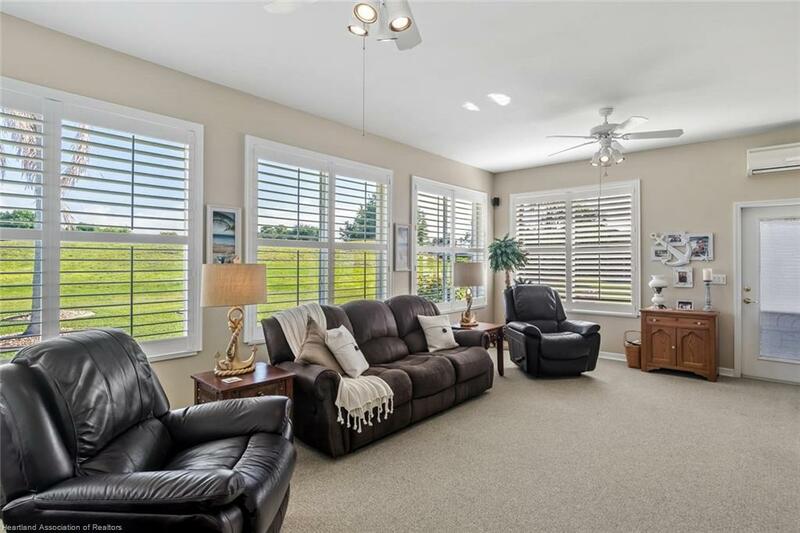 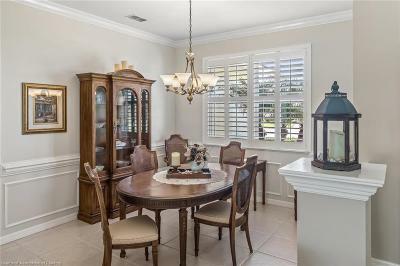 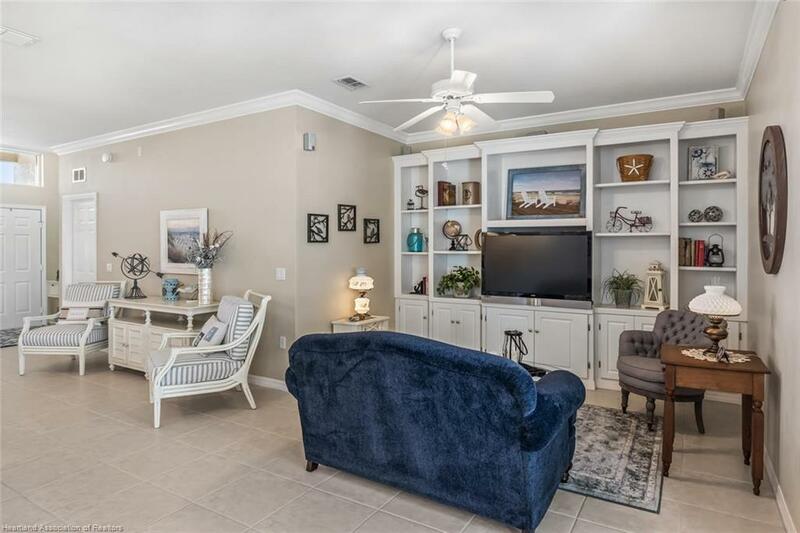 Completely open, this spacious home comes with many attractive features including high ceilings, crown molding, 18' neutral tile, plantation shutters, formal LR & DR, plus a Florida/Family Room. 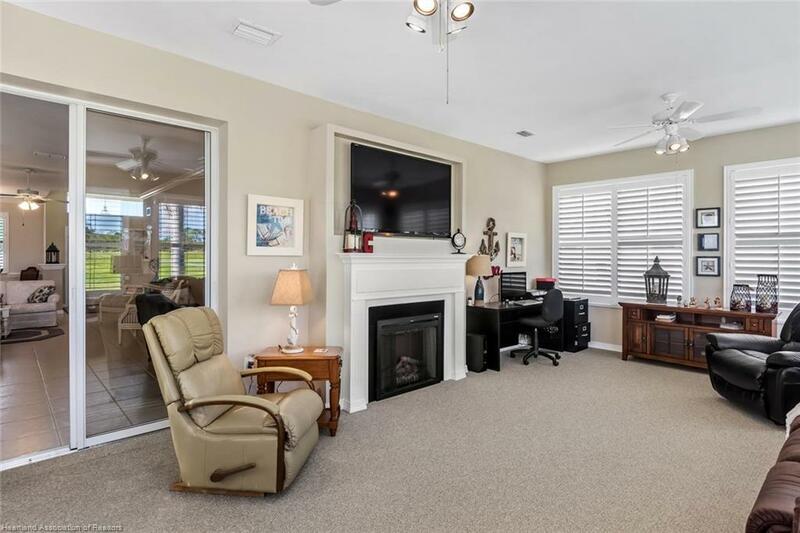 The large LR at approx 17x25 allows for two different seating areas. 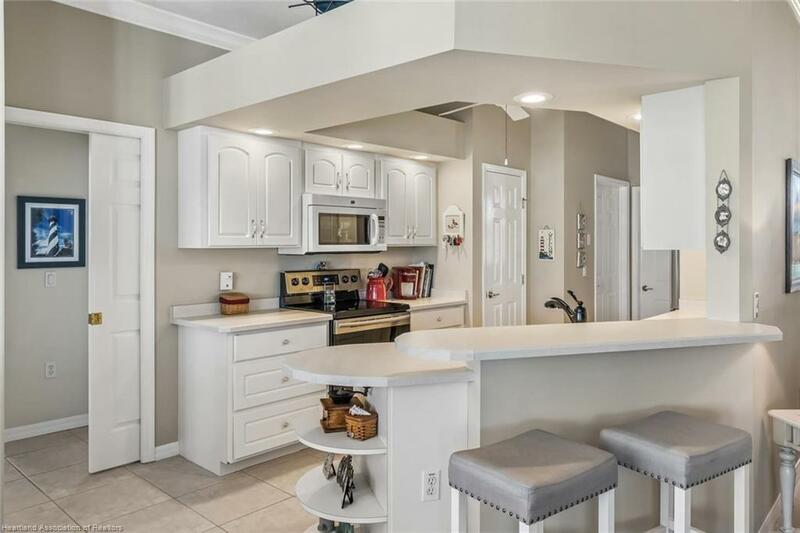 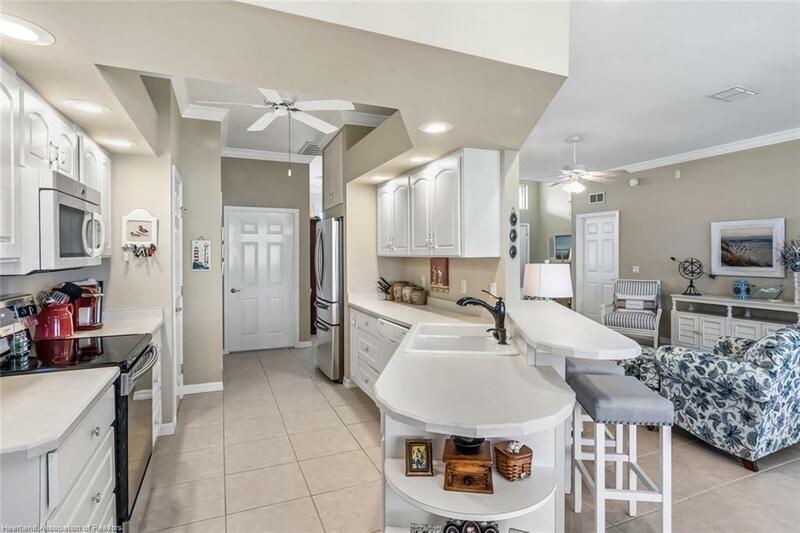 The bright kitchen with white dimensional cabinets, new SS appls & breakfast nook with built-in hutch is open to the LR, complete with custom built-in entertainment center. The lovely master suite with jetted tub, corner shower, double sinks and huge closet is separated from the guest suite for privacy. 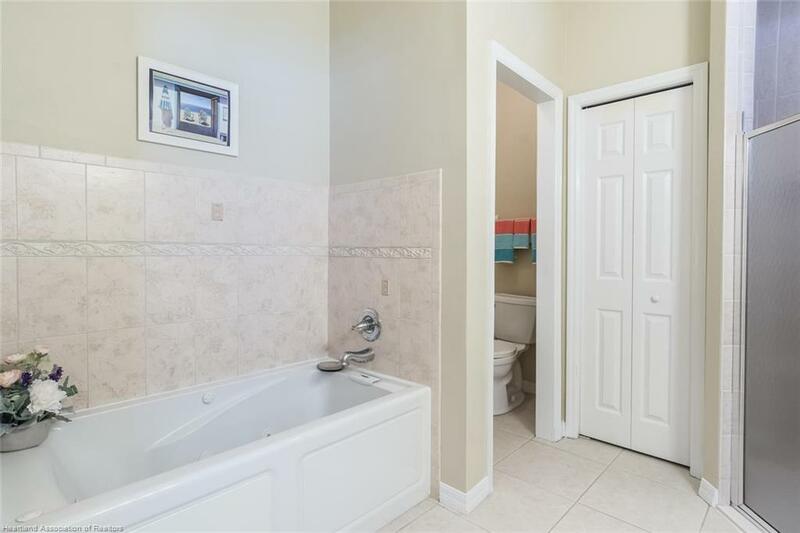 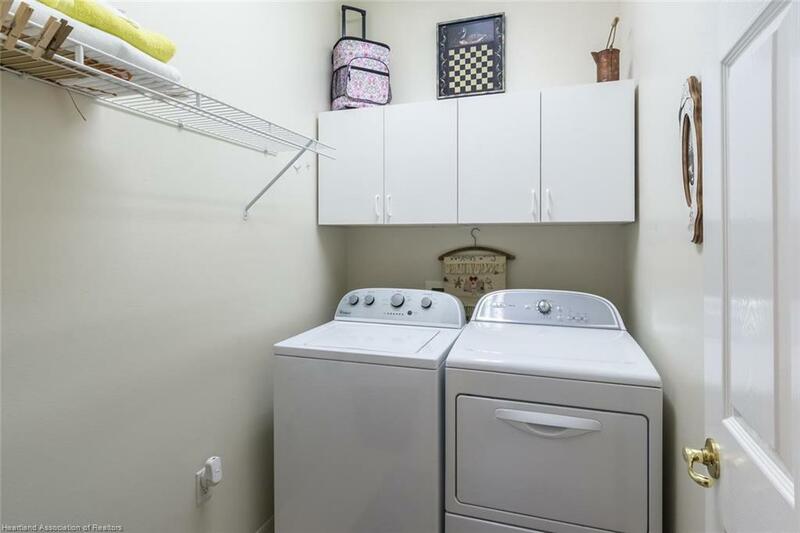 The guest suite can be closed off from the rest of the house by a pocket door. 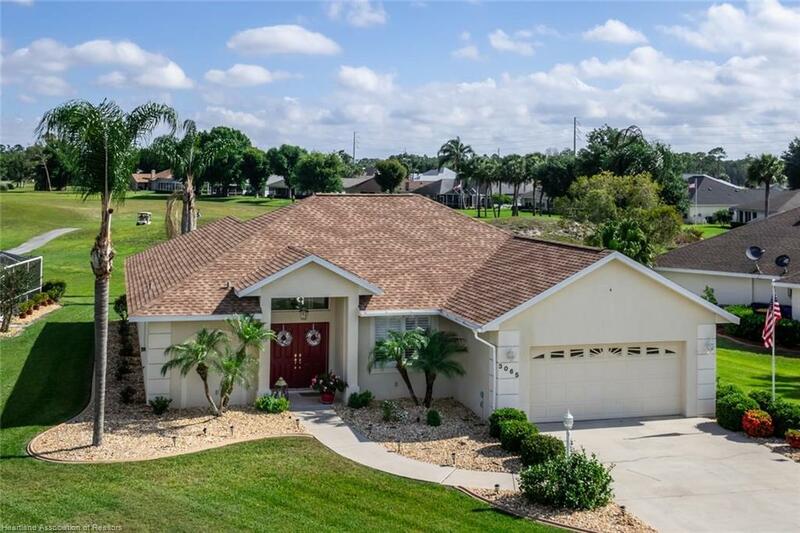 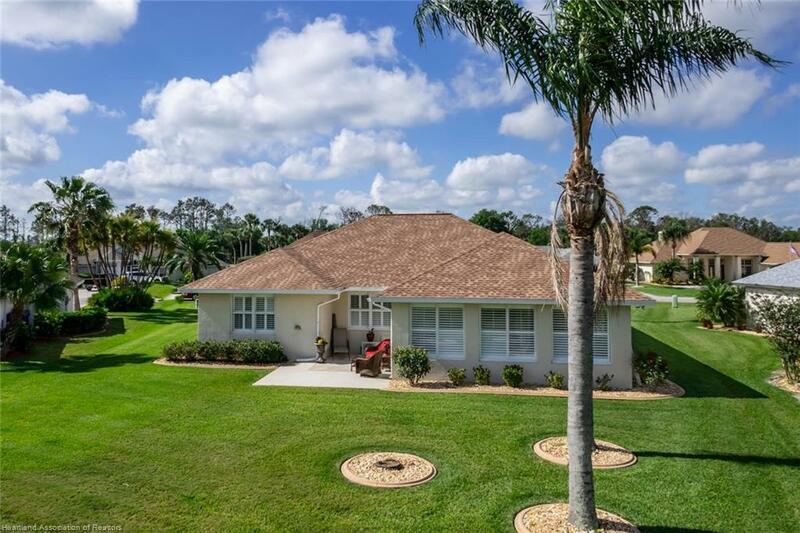 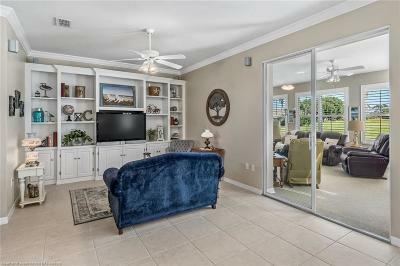 The incredible Florida/Family Room boasts an electric fireplace and custom mantel with TV above, and has windows from corner to corner giving you awesome views of the nicely landscaped, private backyard. The interior has been painted with soft neutral colors and the outside is landscaped with river rock and curbing. 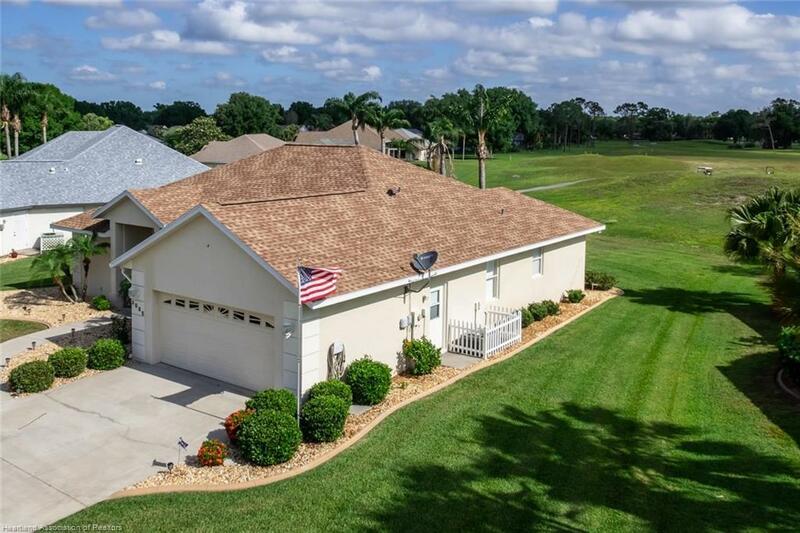 New Roof 2018.